Stylish, luxurious, yet laid-back accommodation in a country guesthouse between Cape Town and the Garden Route in Swellendam South Africa. Surrounded by rolling fields and embraced by the majestic Langeberg Mountain range, lies the picturesque town of Swellendam. 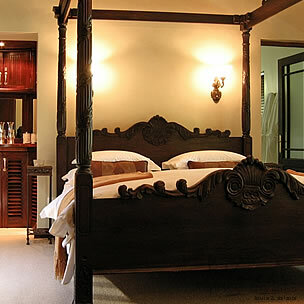 Your first stop on the garden route and home of Schoone Oordt Country House. 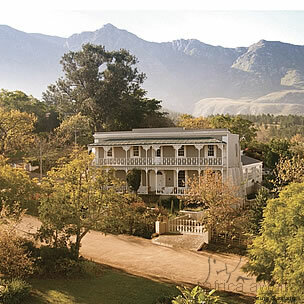 Echoing the past, Swellendam continues to be a place of rest, relaxation and replenishment for travelers. Situated in the heart of the Overberg, in the picturesque farming town of Swellendam you will find Schoone Oordt Country House. This well-known and much photographed Victorian landmark presides over 5000m2 of lush grounds, incorporating eight magnificently crafted, luxurious suites and a romantic honeymoon hide-away. The grounds contain manicured lawns, secret woodland glades, vegetable/herb gardens, a sparkling swimming pool, tranquil fountains and a fragrant rose garden. Eight newly built luxury guest cottages and a honeymoon cottage have been meticulously constructed to compliment the character and style of the main house and a larger family unit is still underway. Each suite has been furnished to meet even the most discerning taste. Collectors’ pieces and antiques add to the unadulterated luxury of every exceptional room. 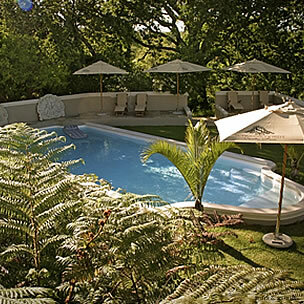 Schoone Oordt’s ample grounds house all you require for a totally relaxing, exclusive and luxurious escape echoing the beautiful mansion’s grand and slightly eccentric past. On a cold winter’s night warm yourself with a hot drink by the fire. On hot summer day’s slip into the cool saltwater swimming pool, or lounge in the shaded deckchairs and wait for the next round of drinks to be served. The sun-kissed conservatory is the ideal place to have one of Schoone Oordt's lovingly prepared breakfasts or the perfect venue to host a formal evening function. Airport transfers and day trips can be arranged as well as suggestions for eating out, exploring the area, on-site pampering or ideas for just relaxing and whiling away the time. “The Garden Route and Klein Karoo occupy a special place in South Africa’s constellation of tourist offerings, providing as they do a microcosm of the South African Experience. The thrilling contrast between a vast and stark Karoo adjoining a verdant Garden Route, is typically South African.” Moeketsi Mosola, CEO South African Tourism. With your holiday, safari or business trip from in to Schoone Oordt Country House in The Garden Route.